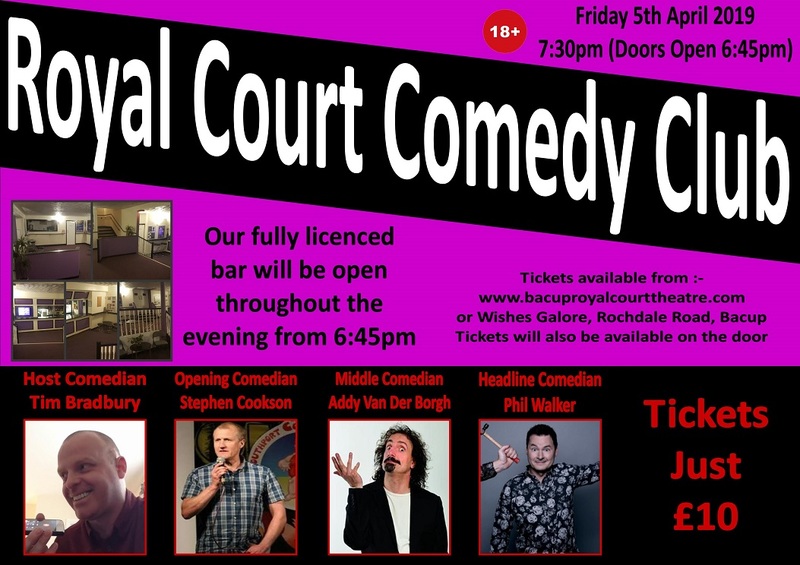 On Friday 5th April 2019 Royal Court Comedy Clubs returns to Bacup Royal Court Theatre. Royal Court Comedy Club brings together the very best in comedy talent from around the UK by providing a platform for established and up and coming comedy talent. Our fourth comedy night features 4 of the most talented established comedians from the UK comedy circuit.